Who knew lint could be so frightening! Here’s a note from Lisa Alley, BERNINA Certified Technician for Sew Original in Winston-Salem, NC. 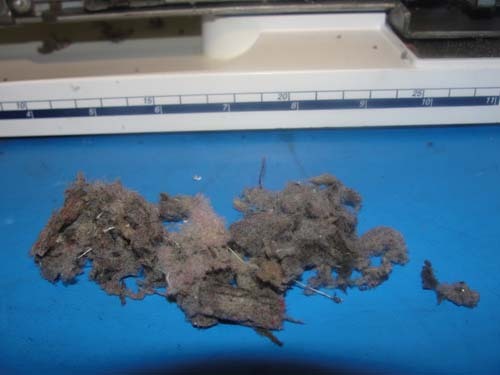 Use your lint brush or another soft, good quality brush to clean lint from the bobbin area of your machine. NEVER use compressed or canned air! Canned air, although it may clean the bobbin area where you can see well, blows all the lint into the unseen areas of your machine. This lint can cause many costly problems for you. It can impede your feed dogs, bind your machine, soak up all the oil, cause problems with your circuit boards, and more! I recently saw a machine that had lint blown all the way to the hand wheel. The owner thought she had kept her machine in tip-top shape because the bobbin area was spotless. But, when the machine’s cover was removed, this is what was revealed. And this is just part of the pile of lint that was pulled out. 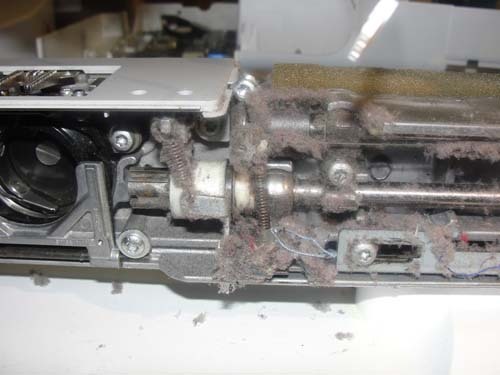 Sew, be sure to take care of your machine and…. No canned air!